Alright, Toronto. You want it, you got it! We teamed up with Just Eat so you can get our drool-worthy eats to go. Hungover in bed? There’s delivery! In the area but gotta bolt? There’s pick up! Something strange in your neighbourhood? Uh wait, those are the other guys. 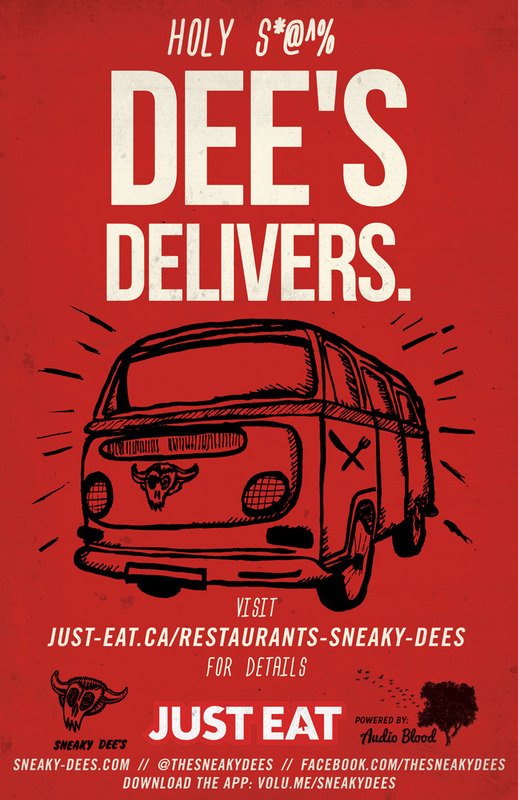 ANYWAYS, head to just-eat.ca/restaurants-sneaky-dees to get ordering!